William Coburg was born in about1828 in Coburg, Germany (in Bavaria) and died at some point after the census was taken in Mamakating, Sullivan County, New York on June 9, 1880. On that date he was listed as suffering from consumption so it is logical to assume he did not live much longer. He is also listed as a widower. He married Rosanna C. (surname unknown), who was born c.1828 in the state of Georgia. According to the 1870 census, her father was foreign-born and her mother was born in the United States. Rosanna died between the census taken on June 1, 1875 in Mamakating and the one taken in 1880. Traditional Germans named their first born sons after the child's father's father. If that pattern was followed here, then William's father's name was Henry. William Coburg's middle initial variously listed as G., H., and J. but since his son was named Henry William and Henry's death certificate lists his father as William H. Coburg, H seems most likely. In the ad William put in the Sullivan County Directory for 1872/3, however, he is listed as William G. Coburg. It appears on page 260 for the Town of Mamakating and reads: "Coburg, William G. (Bloomingburgh,) boot and shoemaker." Family legend says two brothers, aged 14 and 16, arrived from Germany, but does not say which one William was or give the brother's name. This suggests he arrived in the U.S. between 1842 and 1844. A variation on this family story says he and two brothers came and the other two remained in New York City. The only other Coburg I have so far found who might be William's brother is the Chas. Coburgh, listed in the 1870 census in New York Ward 12, District 15, New York City. His age is given as 40, putting his birth in about 1830, and he was born in Germany. In 1870 he had a wife named Kate, born in New York, age 35, and a son named Willie, age four. Yet another family story is that William Coburg he came to America to avoid having to serve in the military in Germany and arrived just in time for the American Civil War. This version, however, is clearly untrue because William was already living in Goshen, Orange County, New York in 1844. If William lived in Goshen for eleven years, then he moved there in about 1844. He might have arrived in the U. S. earlier than that. His wife moved to Goshen in about 1846 and their eldest child was born there in about 1853, placing their marriage somewhere between 1846 and 1852. Her birth in the state of Georgia confirms the family story that he married "a southern girl" and the results of an Ancestry.com DNA test suggest that her origins might be Irish. The next record of William Coburg is in the 1860 census, by which time the family was living in Wallkill, Orange County, New York. This record, dated June 25, 1860, was transcribed as Cburghe in indexing but the o is actually there, just very small, when you look at the handwritten original. Rosanna Coburgh, 42, father foreign born; mother born in the U.S. I'm not sure why these girls were living apart from the rest of the family. Possibly they were in service or learning a trade. Mary O. Coburg (William) was born in about 1853 in Goshen, Orange County, New York. She may be the May Coburgh, 17, listed with a family in Goshen in the 1870 census, although by then the rest of the family was living in Mamakating in Sullivan County. By 1875 she had married a man named Kinner whose Christian name is unknown. She is listed as Mary Kinner, 22, in the 1875 census when she was living with her parents. According to family lore, she had twins. There are a number of women named Mary Kinner in census records but the only one who might possibly be Mary O. Coburg is the one listed in DesMoines, Iowa in the 1920 census. She was born about 1853 in New York State and is a widow. Living with her are two daughters, Mollie, age 40 and Florence, age 26. This Mary Kinner lists her father's place of birth as England but this census was taken just after World War I when feeling against anyone of German descent was still very high. It is possible she misled the census taker. Henry William Coburg (William) was born November 24, 1854 in Goshen, Orange County, New York and died January 12, 1919 in Hurleyville, Sullivan County, New York. He died of Bright's Disease. He married Julia Swarthout February 24, 1883. The marriage was performed by Rev. E. Kimble. According to the 1855 census and his death certificate, Henry Coburg was born in Goshen. Other records say he was born in Wallkill. His date of birth also varies. November 24, 1851 is on his death certificate but it says 1852 on his tombstone and in the family record. In census records, he's listed seven months old in 1855, 14 in 1870 and 26 in 1880. 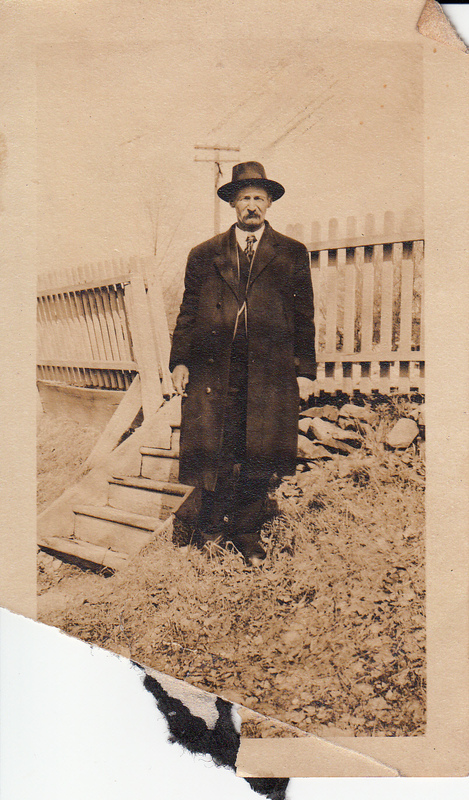 By 1888 he had moved to Westtown, town of Minisink, Orange Co. NY, where his twins were born. In the 1900 census, his family is in Fallsburg (actually Hurleyville), Sullivan County, NY, living next door to his wife's parents. The listing includes Henry, 43, Julia, 32, Fannie, 16, Leslie, 14, Alexander, 20, Nellie, 7, Henry, 4, and the baby, whose name is given as "Leetta M. Coburg." At that time, Henry and Julia had been married for seventeen years and had eight children, six of whom were living. In 1910, the ages given are Henry, 56, Julia, 39, Nellie, 16, Henry, 14, and Muriel, 9. His birth year is given as 1854. On his death certificate, Henry's occupation was listed as carpenter, painter, and paper hanger. He is buried in Hurleyville Cemetery, Lot #9 Division 2. Julia Swarthout was born September 9, 1867 in Fallsburgh, New York and died July 22, 1920 in Hurleyville. She was the daughter of Alexander E. Swarthout and Parmelia Parker. In the 1880 census, at fourteen, she appears as the servant of Andrew Edwards in Bethel, New York, along with her brother George, age eighteen. She married in 1883 at age seventeen. In the 1900 census she reported having given birth to eight children, of whom six were living. In May1918 she apparently had an operation and recuperated in the Middletown Sanitarium, 10 Benton Avenue, Middletown, New York, spending four weeks there. J. B. Hulett, M.D. charged $250 for the surgery. Board, room, and treatment cost $17.50 a week. According to the 1920 census, when she was a widow (Julia Cobuigh), she shared her home in Hurleyville with two of her daughters, "Meyrl" and Fannie. Frances J. Coburg (William) was born in 1857 in Orange County NY. She is listed as Fanny in the 1870 census. She died unmarried. She may be the Fanny Coberg (b.1863) listed as servant to Ernest (or possibly Emmet) Smith of Wallkill in the Census of 1900. Edwin J. Coburg (William) was born June 15, 1861 in Orange County, New York and died on October 21, 1936. He married Amelia Josephine Taylor (May 1864-June 10, 1924). He is listed in census records under various spellings from 1870-1930, as follows: 1870 in Mamakating (Bloomingburg), NY as Edward W., 10; 1880 in same as Edwin W., 18; 1900 in Middletown, Orange County, NY as Edward Cobeng, 39, with wife Josephene, 36 and son William E., 6.; 1910 in Middletown as E. J. Cobing, 46, with wife Josephine, 45, son William E., 16, and daughter Gladys M.,9; in 1915 in Middletown as Edward Coburg, 52, with wife Amelia J., 50 and son George M., 14; 1920 in Middletown as Edwin J. Caburg, 58, with wife Amelia J., 56 and daughter Gladys M., 19; and in 1930 in Middletown, as a widower, age 68, sharing his home with Edward Brandt, 51. His obituary in the Middletown Times Herald on October 22, 1936 says he was the son of William and Rosanna Coburg and is survived by his children William E. and Gladys, wife of W. L. Adams, and six grandchildren. He was buried in Pine Hill Cemetery, Slate Hill. Minnie Coburg (William) was born in 1868 in Sullivan County and is listed as being age 12 in the 1880 census. The Middletown Daily Times for May 4, 1892 records that the surrogate court has awarded letters of administration for Minnie M. Coburg to Edwin J. Coburg, her brother. In other words, he was named to administer her estate after her death. Fannie Pamelia Coburg (William; Henry) was born April 24, 1884 and died in October 6, 1955 in Hurleyville, NY. She married Benamin Strain (1882-1945) before 1910. Fannie was the one who burned all the Coburg family papers and letters during World War I because they were written in German. In the 1910 census Fanny Strain, 23, and Benjamin Steain (sic), 27 were living in Montgomery, Orange Co., NY. In 1920, Fanny was living with her mother ("Julia Cobuigh) and sister "Meyrl" in Hurleyville. In this entry she is listed as married but there is no sign of her husband. In the 1925 New York census the listing for Fallsburgh reads: Benjamin Strain, head, 44, diesel engineer; Fannie P., 41, wife; Muriel Coburgh, 25, sister-in-law. In the next house are Claude Cole, 40, head, carpenter and Nellie, 33, wife. In 1930, Benjamin and Fanny were in Fallsburg, NY (probably still Hurleyville) and Benjamin is listed as having been born in CT. His occupation is given as civil engineer. In 1940, in the same house they were living in in 1935, they have been joined by Fanny's niece, Julia Shipiro [sic], 14 and Benjamin's first name is spelled Beryman. Ida May Coburg (William; Henry) was born August 9, 1888 in Westtown, town of Minisink, Orange Co. NY and died August 20, 1888 in Westtown, town of Minisink, Orange Co. NY. Minisink Museum records for Westtown Cemetery give the date of death as June 24, 1889 aged nine months twenty-four days. She was the twin of Leslie Hamilton Coburg. Leslie Hamilton (Pat) Coburg (William; Henry) was born August 9, 1888 in Westtown, NY (town of Minisink, Orange Co.) and died July 25, 1961 in Liberty, NY. At twenty-one, he married Tressa Estelle Hornbeck in Hurleyville, NY. She died of complications of childbirth. The baby remained with her maternal grandparents. In the census of 1910, Leslie (known as "Pat") and his brother Alec were boarding in Middletown, New York. At that time he was working as a trainman. According to his daughter, he wore a suit like a conductor's and checked couplings. In the 1920 census, listed as Leslie H. Roburg, he was still in Middletown but living in the house of his brother-in-law, Claude Cole, as was his youngest brother, Henry. By 1925, his main residence was with his late wife's family in Hurleyville. In the 1930 listing, he owned a garage in Hurleyville. He married Catherine May Hornbeck on September 27, 1934 in Hurleyville, NY. In the 1940 census he was still at the farm in Hurleyville. His occupation was listed as "gas station" and under education he is recorded as having gone only as far as the end of 8th grade. After the death of his second wife in 1958, he lived with his daughter in Liberty, New York until his death. He was buried July 28, 1961 in Hurleyville, NY. 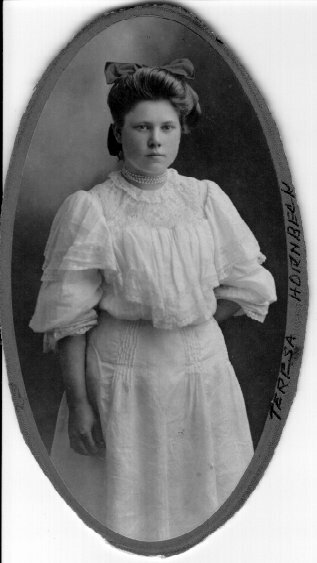 Tressa Estelle Hornbeck was born May 19, 1889 in Hurleyville, NY and died c. May 6, 1910 in Hurleyville, NY. She was the daughter of M. G. Hornbeck and Ella May Applebee. Catherine May Hornbeck (January 18, 1886-March 28, 1958) was her sister. Alexander Coburg (William; Henry) was born July 19, 1890 and died March 4, 1976 in Schuylerville, Saratoga County, NY. His social security death certificate gives the dates as July 20, 1890-February 1976. In the 1910 cenus, at nineteen, he was a boarder in Middletown, along with his brother Leslie. By the 1915 census, he had married Minnie Bodine (October 1898-June 7, 1934) and was renting a home in Fallsburgh, New York. The same was true in the 1920 census and 1925, but in 1930 the family had moved to Woodbridge and Alexander was superintendent of the creamery there. In the 1940 census he is listed as a widower. His daughter Ruth was no longer living at home, but his son Robert, 14, was still with him. 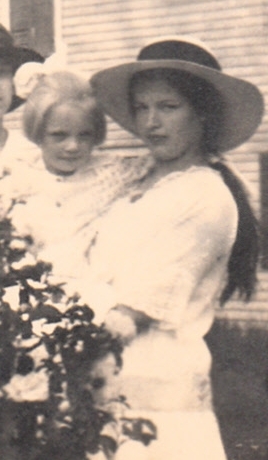 Nellie May Coburg (William; Henry) was born August 8, 1892 and died July 22, 1979 in Harris, NY. She married Claude Benjamin Cole (December 4, 1885-1965), the son of Leander Cole and Lucy Spencer Cole of Peakville, Delaware County, New York, in 1915. They lived in Middletown, NY in 1920, together with their daughter Marion J., age 3, and two of Nellie's brothers, Leslie, 39, and Henry, 24. Their only child died in 1923. 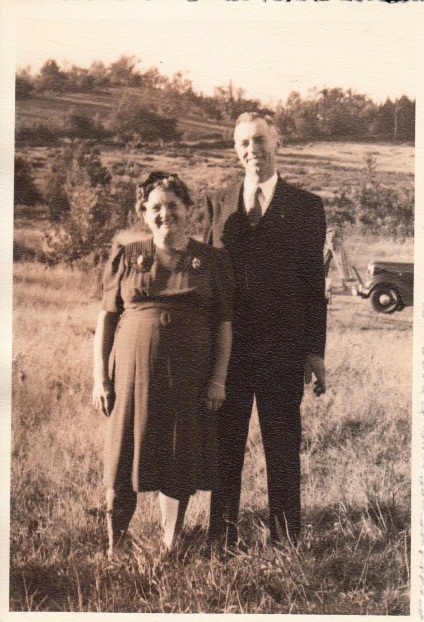 Later Nellie and Claude moved back to Hurleyville, NY, where she was a member of the Hurleyville Methodist Church. He was a carpenter. She was buried in Hurleyville, NY with the Rev. Nicasio Diaz officiating at the funeral. Henry Otis Coburg (William; Henry) was born January 2, 1895 and died November 18, 1979 in New London, Connecticut. In 1920, at age 24, he was living in Middletown in the household of his brother-in-law, Claude Cole. He served in the Army during World War I. He married Dorothy Eliza Ranson (August 25, 1901-January 25, 1977) on October 16, 1920 in Liberty, New York. In 1925, they were living in Mt. Vernon, NY with their three-year-old daughter. He retired from Consolidated Edison and was also a cabinet maker. 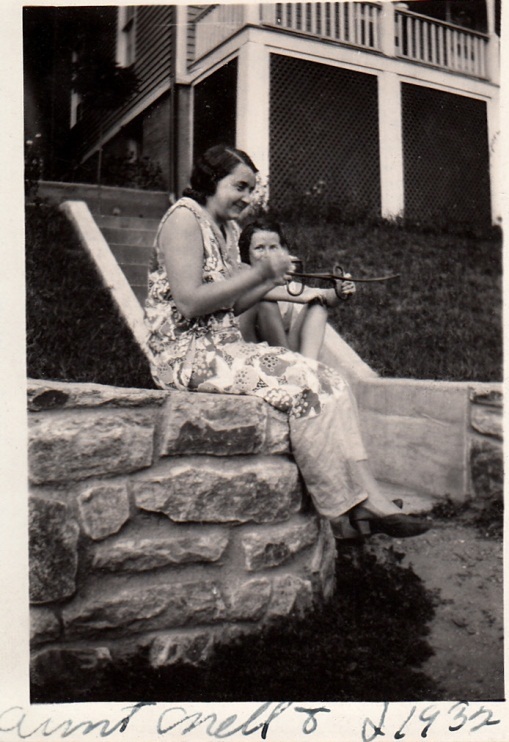 Loretta Merle Coburg (William; Henry) was born May 30, 1900 and died September 1, 1973 in Cranston, RI. In the 1900 census for Fallsburg, NY, her name is given as "Leetta M. Coburg." In the 1920 census she is listed as Meyrl Cobuigh and was living with her mother and her married sister, Fannie Strain, in Hurleyville. By the 1930 census she was married to Edward Shapiro, age 29, and living in Manhattan with their daughter, Julia, age 4, and two lodgers, William and Elza Zimmerman. She is listed as Muriel Shapiro. Ten years later, there is no sign of either Muriel or Merle Shapiro, or of Edward, unless he had remarried. Their daughter was living in Hurleyville with Fannie and Benjamin Strain. At some point prior to the 1960s, Merle formed a life partnership with her friend Lucy, with whom she ran a restaurant in Rhode Island. William Edwin Coburg (William; Edwin) was born in December 1894 and died in 1961. He is listed with his family in 1900 and 1910 census records. He married Jennie May Smith (1895-1923), daughter of Charles W. Smith and Olive Lizette Edwards, before 1914. In the 1915 census he is listed with his wife and one child, ten month old Edwin. In the 1920 census he was living in Middletown, New York, renting his home, and had four children. His son Woodrow is listed as "Woodward P. Coburg." In 1921, he was employed by Howell Hinchman Company in Middletown. In 1925, the family had increased by another son and employed a housekeeper, Anna Cunningham, 55, who was born in Ireland. In 1930, William was a widower and his family of five children had been joined by Olive L. Cronk, 60, identified as his mother-in-law. 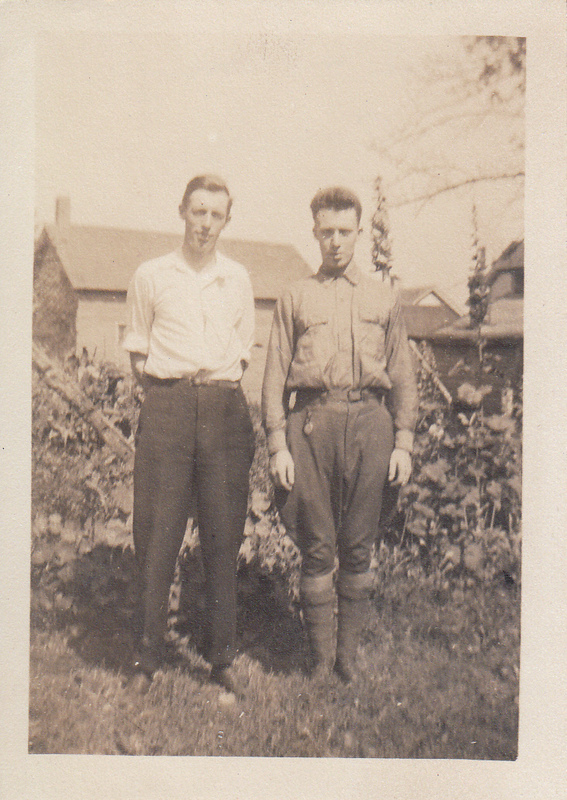 In 1940, William and his youngest son Richard were lodgers on West Main Street in Middletown. Under education, the highest grade completed was 8th and under "class of worker" it reads "wage or salary worker in Government work." Gladys M. Coburg (William; Edwin) was born April 17, 1901 and died in 1983. 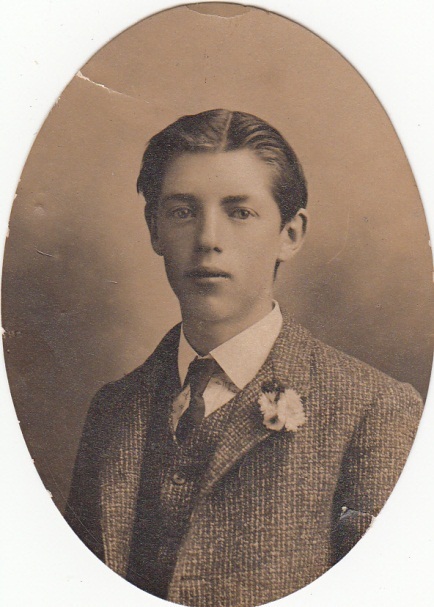 She is listed with her family in census records for 1910 and is probably the "George" M. Coburg, age 14, listed in the 1915 census. 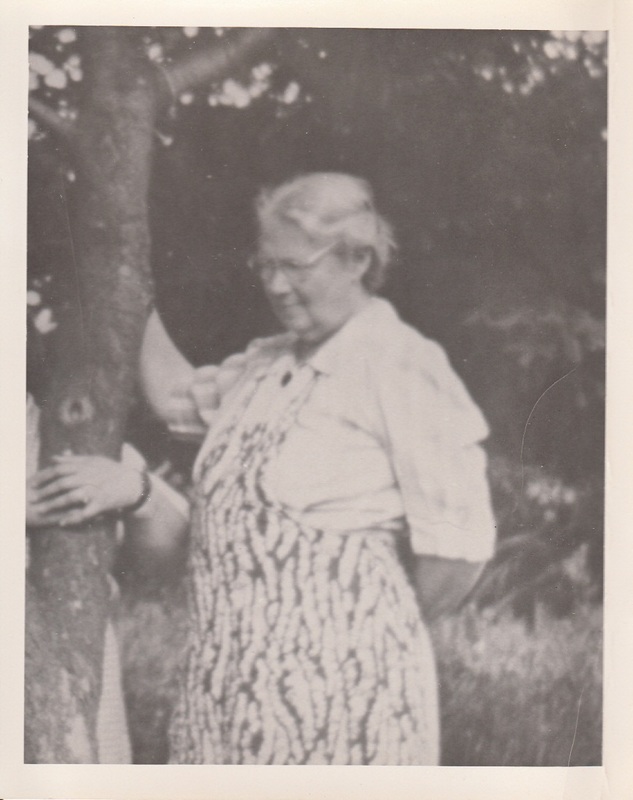 She is still with the family in 1920 at 19. In the Middletown City Directory for 1921 she is listed as a clerk residing at 129 Academy Street with her father. In 1924, she is listed as a clerk at the Merchant's National Bank in Middletown. She married Walter Lester (or Leslie) Adams (1896-1980) before 1928, when they are both listed in the Middletown City Directory as living at 15 Sunnyside Avenue and Walter L. Adams was an employee of RL&P Co. The 1920, 1925, and 1930 census lists contain two families with a Walter L. Adams as head of household with a wife named Gladys (Gladys M. in 1920 and Gladys J. in 1930). This Walter and Gladys are about the same ages as our Walter and Gladys. What distinguishes Gladys Coburg Adams and her husband is their continual residence in Middletown. The 1930 census gives Walter's age as 34 and says he was born c.1896 in CT. Gladys C. Adams was 29. In the 1940 census, Walter is listed as Walter Adams, Jr., 44, living on Royce Avenue (same residence as in 1935). He rented his home and shared it with his wife Gladys, 44, and their son, Walter, 8. He had four years of college. The 1948 Middletown City Directory gives their address as 40 Royce Avenue and lists his job as electricity distribution supervisor for RL&P Co. They are regularly listed in this directory between 1928 and 1948. In 1970, they moved to Highland Park, Illinois to be closer to their son, who lived in nearby Glencoe. If you have any further information about this Coburg family, especially the succeeding generations, please contact Kathy at emerson@megalink.net.